David packed this DVD with nearly 2 hours of information. It includes a new demonstration with his super-human balance and strength test that David introduced in the early 90's. It features the Personal Trainer section with a drop down menu that allows you access to over 20 techniques that David Hall has been teaching Doctors, trainers, and physical therapists for over 20 years. Included are his techniques for: weight loss (the "Jamba" run), knee, hip, back, and shoulder issues. Digestion/Elimination technique. A natural facelift. Tightening/toning and targeting. 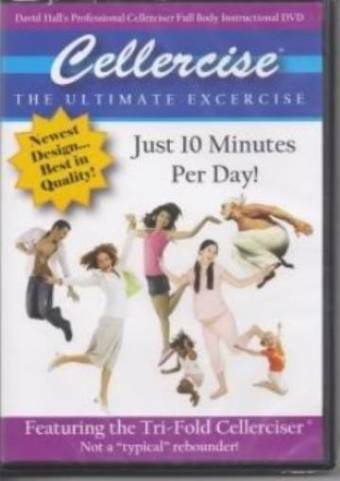 Resistance movements and Cellercising® for muscle mass. Stress reduction and better sleep techniques. And...the new increased lung capacity exercise with lymphatic pump and increased oxygenation.